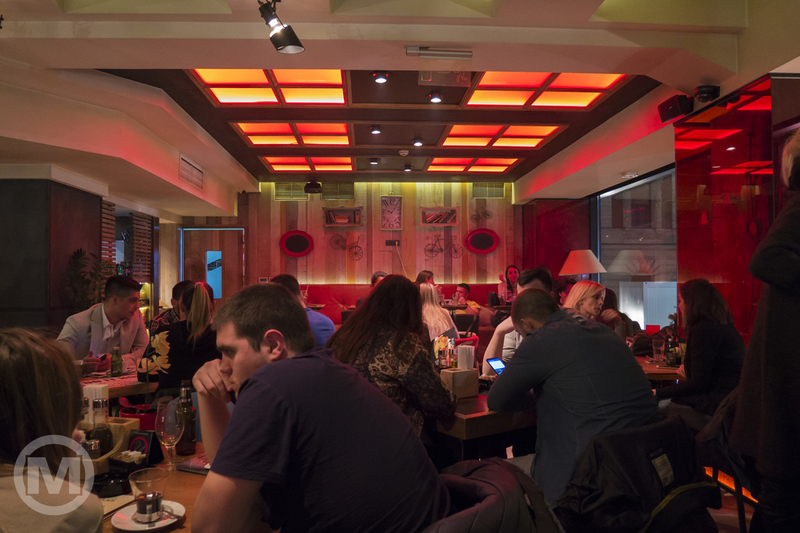 This post is in no way an exploration of the capital city of Serbia: Belgrade. It's a few glimpses of the city center during our very short stay there. 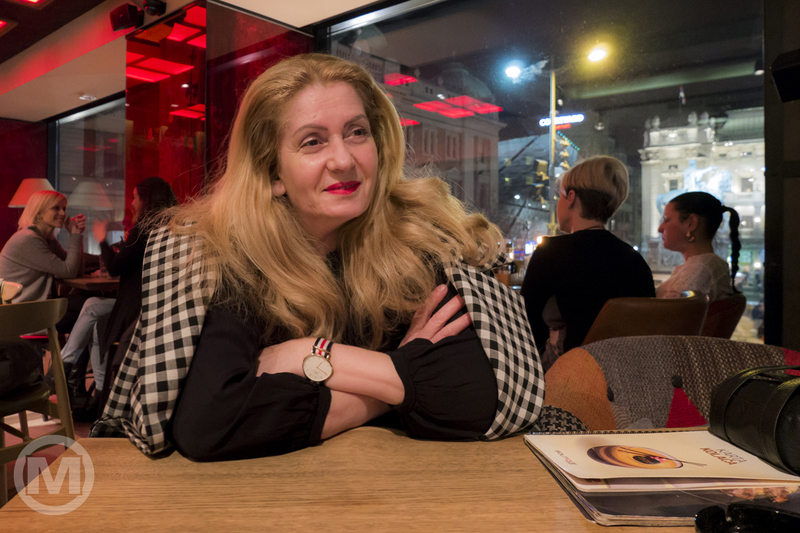 Before my mom, Selma and I made our month-long road trip to the USA back in March 2018, we spent one day in Belgrade. Since our flight from the airport was early in the morning, we arrived into the city one day before. 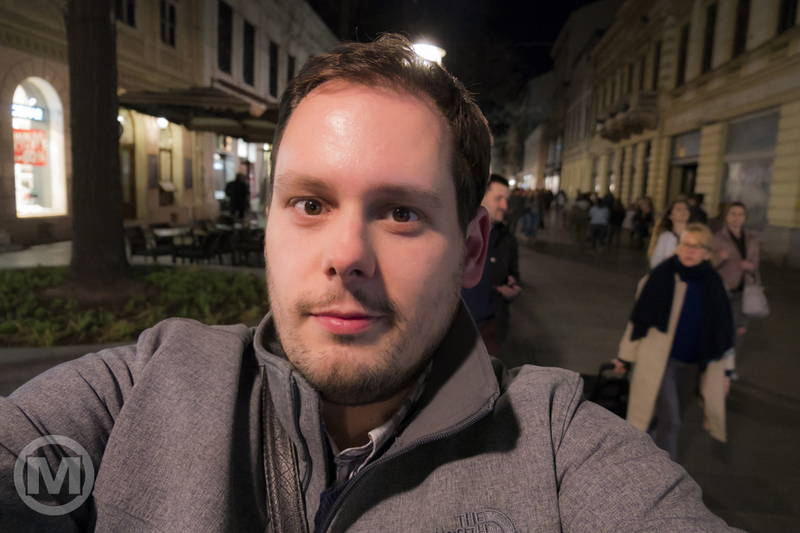 That's why we had some free time to explore the main street (Kneza Mihaila Street) at night. We had dinner and took a stroll. 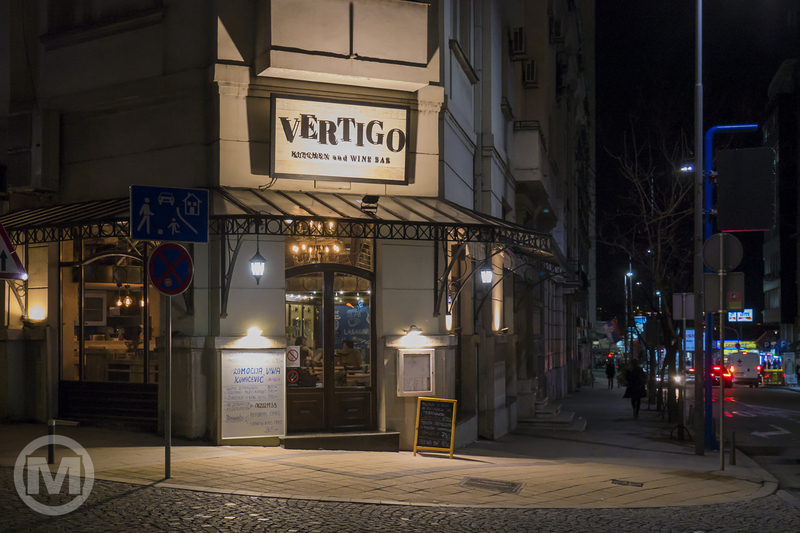 Since it was a early spring night, not that many people were out in the streets, although there is always life in Belgrade, regardless of the season. 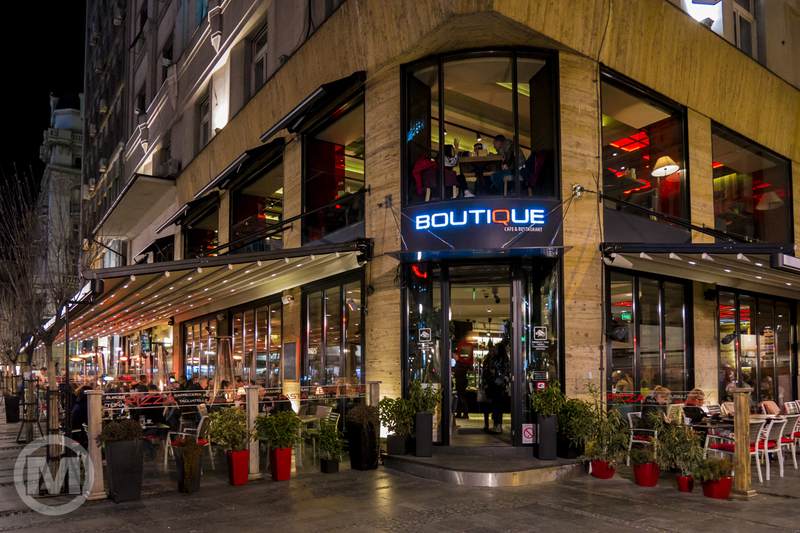 We ate dinner in a very stylish restaurant called Boutique on the Trg Republike square. 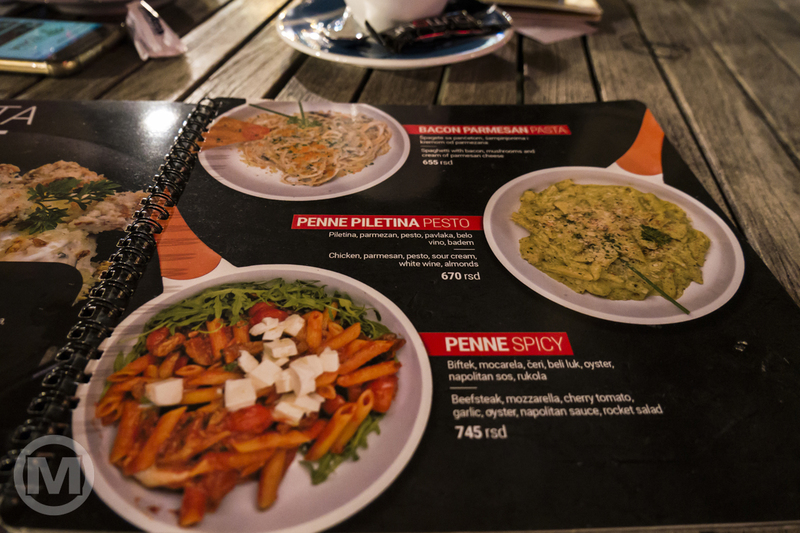 The prices are good (this being the city center) and the food delicious. 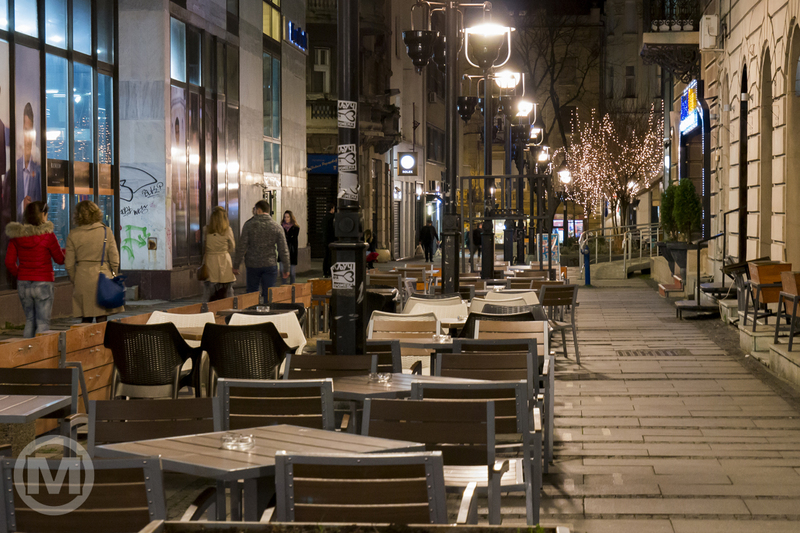 Knez Mihailova Street or Prince Michael Street, which we walked on is the main pedestrian and shopping zone in Belgrade, and is protected by law as one of the oldest and most valuable landmarks of the city. 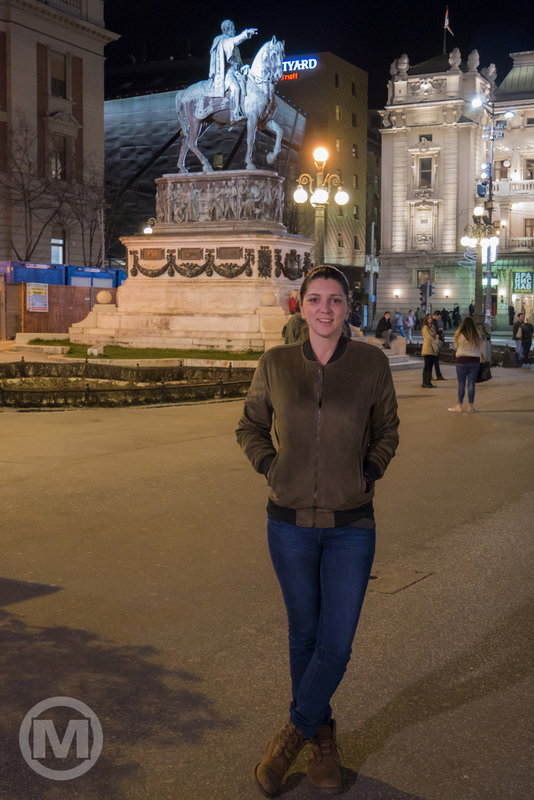 The Republic square is one of the busiest places in Belgrade, as one of the central business areas in the city, with over 20 bus and trolleybus lines of the city public transportation passing through the square. 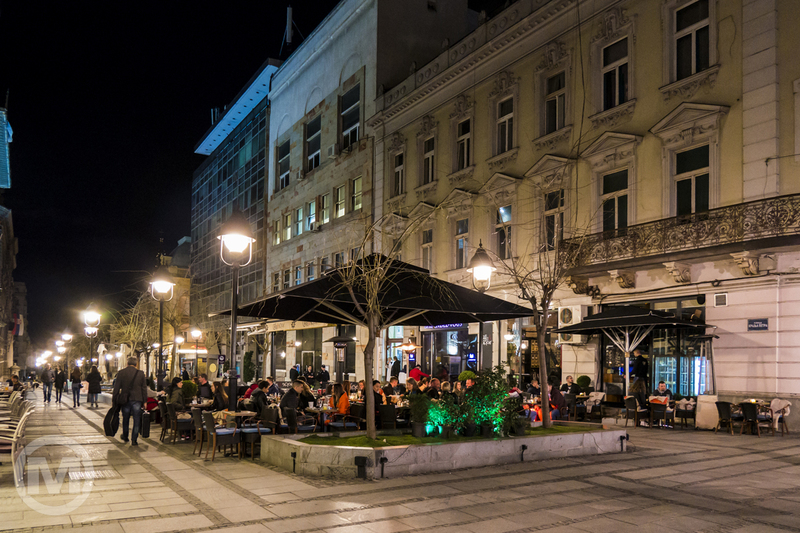 On one side, the square extends to the Knez Mihailova street, the pedestrian zone and one of the main commercial sections of Belgrade. 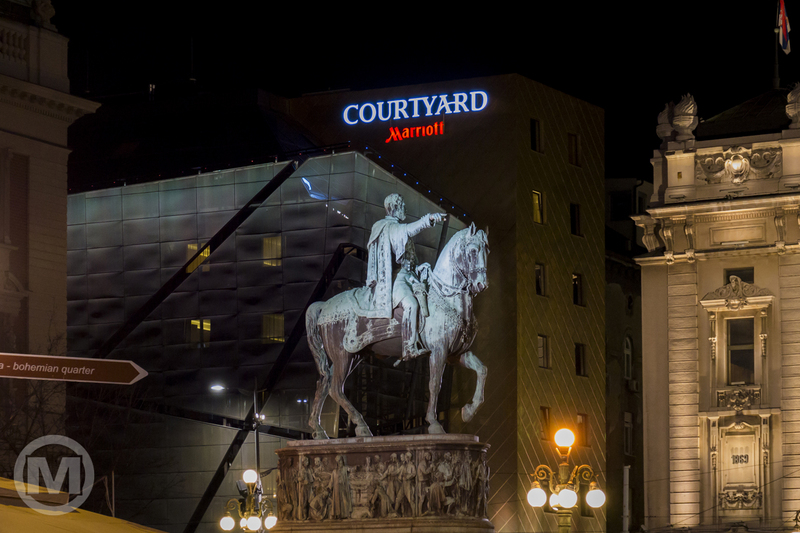 On the opposite side, the square is occupied by the Staklenac, the Belgrade's first modern glass and steel constructed shopping mall. The bronze statue of Prince Michael on a horse, by the Italian sculptor Enrico Pazzi was erected in 1882. It was erected in honor of the Prince's most important political achievement, complete expulsion of the Turks from Serbia and liberation of the remaining Serbian territory, still under the Turkish rule. 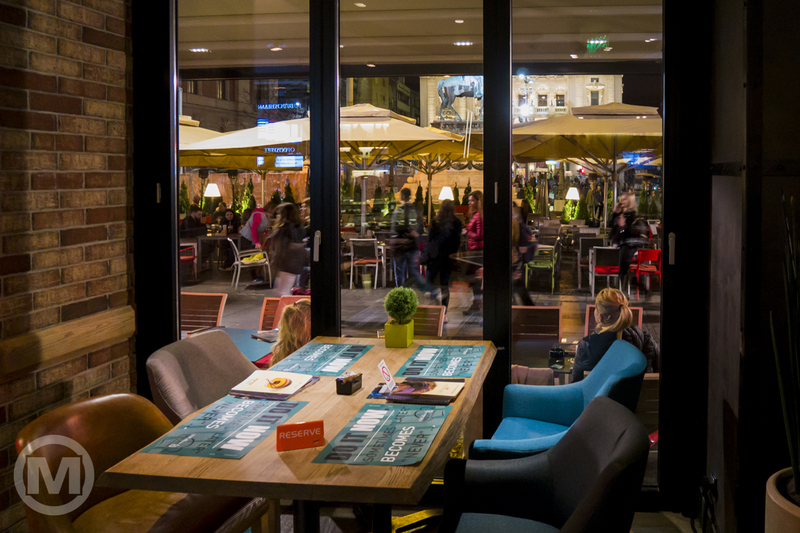 Knez Mihailova street is a common meeting point for Belgraders. The street has been named one of the most beautiful pedestrian zones in South East Europe and is a constant buzz of people and tourists. Thousands of people stroll along the street every day as it is the shortest path from Terazije to Kalemegdan park and fortress. 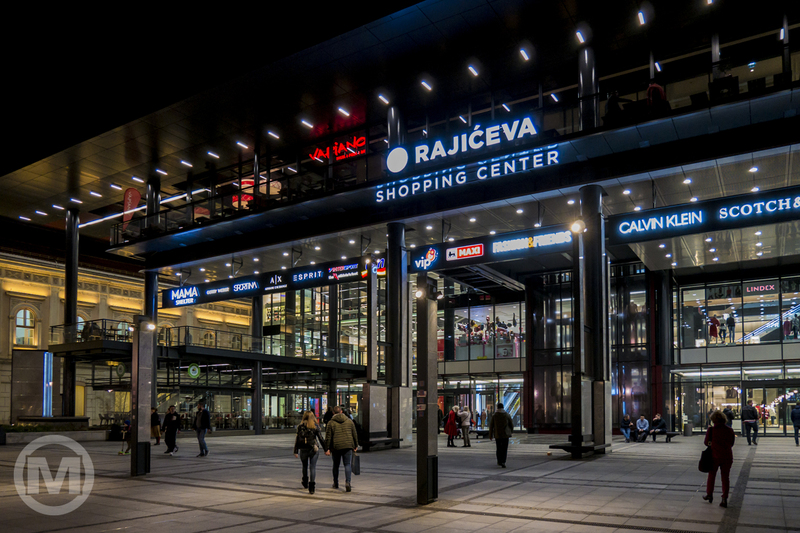 Near the end of street, between Knez Mihailova and Uzun Mirkova, a large complex of Rajićeva Shopping Mall was constructed. 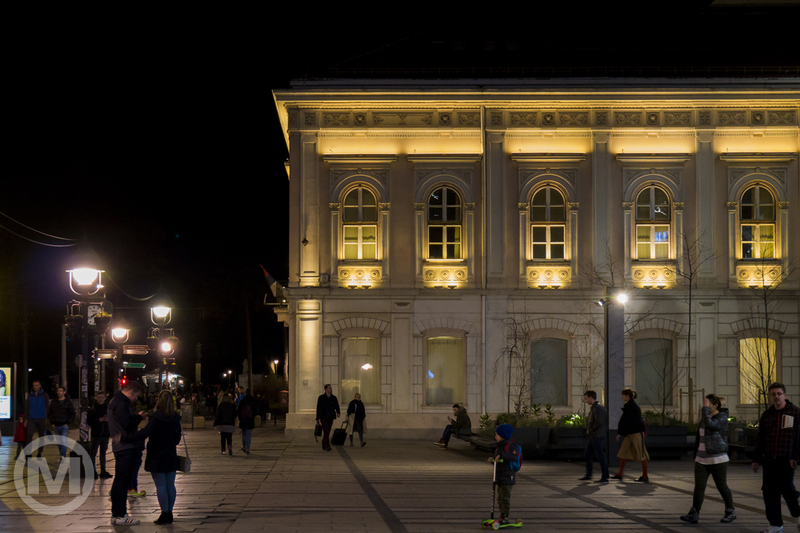 The criticism of the project was very loud, both for its location in old section of Belgrade's downtown and the appearance of the building itself, which is described as an unfitting architecture for the location or as a "foreign body in Knez Mihailova". I'll leave it up to you to decide. The picture is above! Is that your mom? Lovely lady... I enjoyed these very much. Thanks Bill. Yes, that's my mom. 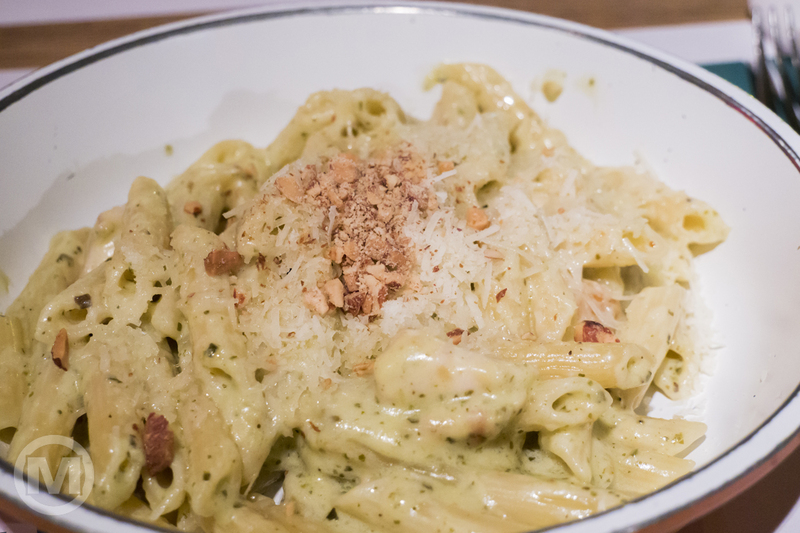 Your dinner sound good as does the wile atmosphere. Is that you Mum? she is very beautiful and is Selma your sister? I felt the atmosphere as I read this. Agree with Bill about your Mom. Glad you enjoyed it. Thank you for visiting. Your mom could be mistaken for your sister. Beautiful lady. As is your blog. Enjoy it so much. You've seen more of my country than I have !! Linda in TN. Your night photography never ceases to amaze. Well done. your mother is so beautiful, as is your sister and I can tell they are related. love your night shots as I always do..
Beautiful photos. I'd love to travel there myself some day. Sometimes it's a great way to get introduced to a place when you have a long lay over. Your mom is very beautiful and she is blessed to have a son who will travel with her. Enjoy your weekend. 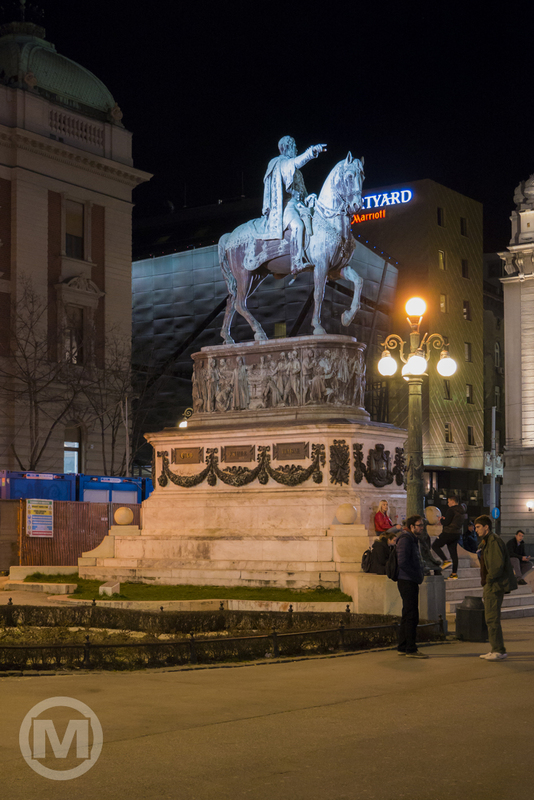 Love the Prince Michael statue, and I enjoyed this "glimpse" of Belgrade!